There is a lot on Bainbridge and Passyunk Ave, and another on 7th St between South and Bainbridge. Keep an eye out for our special regional food and wine dinners. 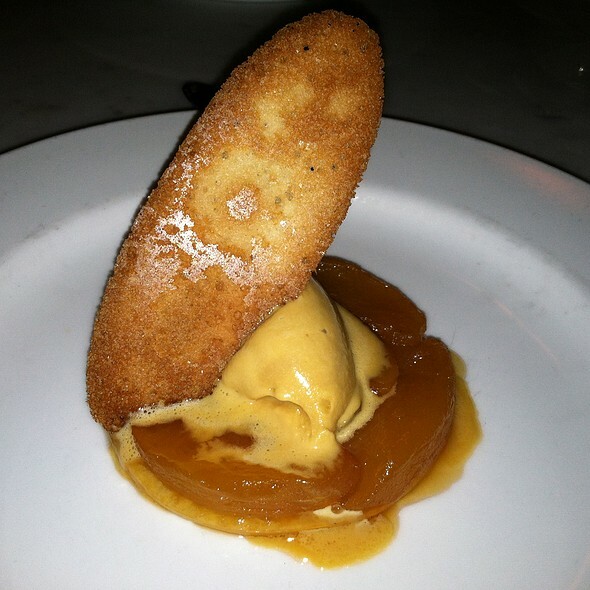 Every month Bistrot La Minette will choose a different region to celebrate. Each dinner is $35 for 4 courses. An optional $15 wine pairing is also available. Bistrot La Minette is the realization of Chef Peter Woolsey's dream that began a decade ago during his earliest days studying in France: to create a restaurant that would share his love of the authentic bistrot experience with his fellow Philadelphians.Chef Peter pays great respect to the traditional dishes that he creates and honors the classical French methods required to achieve unparalleled bistrot cuisine. Both savory and pastry menus are ever evolving to reflect the seasons, the availability of the best ingredients and the inspiration of the chef. They are drawn from the various regions of France and the multitude of delicacies that each has to offer. The service is both efficient and warm, rooted in a foundation of hospitality and caring for our guests. Our goal is for Bistrot La Minette to be accessible to all guests that enjoy superb food and wine, and the company of their companions: hoping to evoke their best memories-or dreams-of traditional French bistrot dining. Honestly if I could give this restaurant 10 stars, I would. I’ve been around the block a few times with different cities’ food scenes and I must say that the service and food are among the best in the country. The Œuf de Pêcheur are enough to come to Bistrot la Minette, everything else is icing on the cake. The escargot is fresh and earthy and garlicky, the Bœuf bourguignon is outstanding, truly, but the real showstopper is the mustard rabbit. Honestly, it might be the best dish I’ve had in my years in Philly. 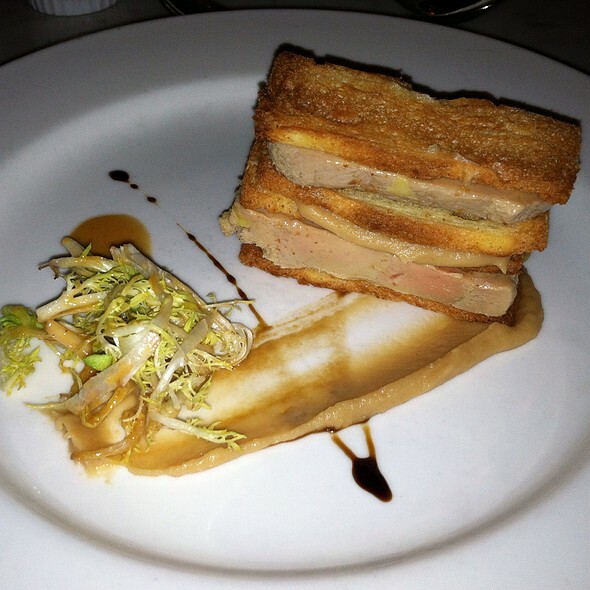 Do yourself a favor, for an unparalleled dining experience from service to “saveur”, Bistrot la Minette is a stunner. We brought our 11year old granddaughter with us for the first time. She loved it as much as we did. 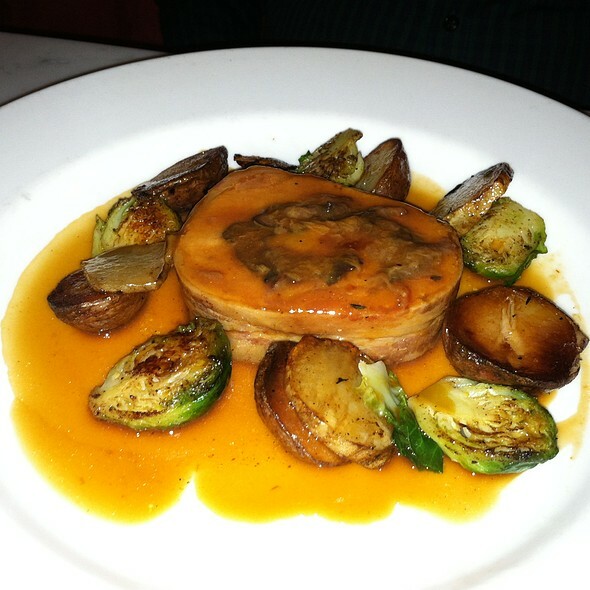 Bistrot La Minette is our favorite anniversary spot. They have the best French bread in the city. The scallops were wonderful as was the monkfish. 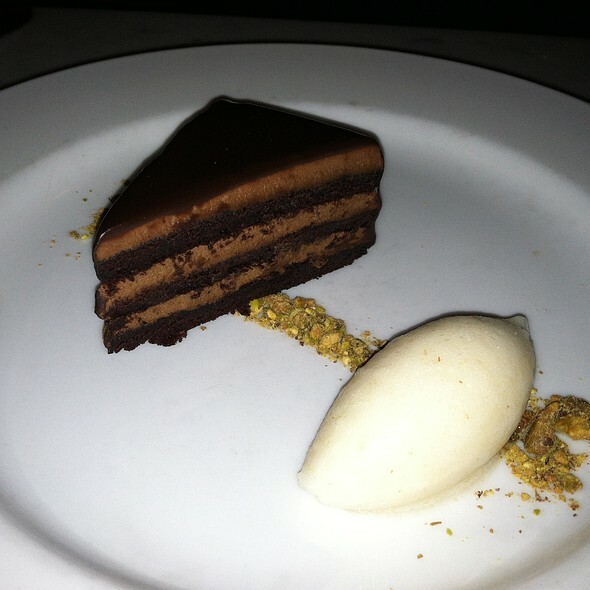 Our granddaughter took a photo of the chocolate mousse cake before she dive in. It was a delightful night for all of us. Very good food! Amazing outdoor and indoor space! Very nice French mood that brings you back to France. First time to the restaurant and everything was outstanding! Great cocktails, appetizers & escargot all served with a traditional French touch. Lovely night. Enjoyed the meal, I was a little disappointed how I specified that it was for our anniversary and they didn't do anything. The couple next to us was celebrating a birthday and the same waiter made the meal accommodating for them. We had the 5 course tasting menu with wine flight. It was expensive at $75/each, but we decided to treat ourselves. Just two minor complaints. The pasta with my entree was a little too chewy as was the Beef Bourguignon that was my wife's entree. Other than that it was excellent. Love this place. Quaint. Charming. Excellent food and service. I always feel like I am in Paris at a cafe! Delightful staff. Delicious food. Appealing presentation. Now if Philadelphia could just do something about parking! Lovely Alsacienne cuisine, but too many lardons for my taste. This is my favorite restaurant in Philadelphia. We live in the area and try to visit fairly frequently. It's always a wonderful experience and feels like a mini visit to Paris. Very enjoyable. This particular time I did not love my choice of entrée but it was more my fault than the chef. I selected the monkfish with lobster sauce and found that the fish was too well done and cooked to my liking but probably that is not a dish that I should order in the future. Everything else was delicious the special salad the desserts the sirloinFillet entrée were quite special and they have a nice wine selection and cocktails. One thing to keep in mind if you have never visited is that most of the tables for two are along a banquette and very close to the adjoining tables so you should not expect privacy while dining. There is also an option for outdoor dining on small deck in nicer weather which is very pleasant. Always a wonderful meal, where the service is wonderful and the food even better. Our dinner at this restaurant was quite pleasant. The staff was attentive and pleasant. The food was quite delicious though I was disappointed by the size of the Beef Bourguignon. It was delicious but quite small for its $31 price. Our lamb shank meal was equally delicious and a more reasonable size. Outstanding food and the best French menu in the city. Our favorite restaurant in Philly! We really enjoyed our dinner here on Saturday evening. And, we will certainly be back! 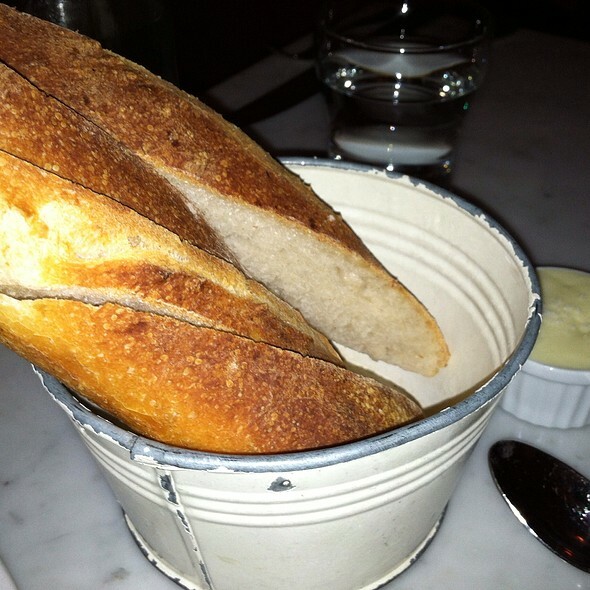 We didn't know how many courses were in the tasting menu and ate too much great bread. We were too full at the end to really enjoy it all. 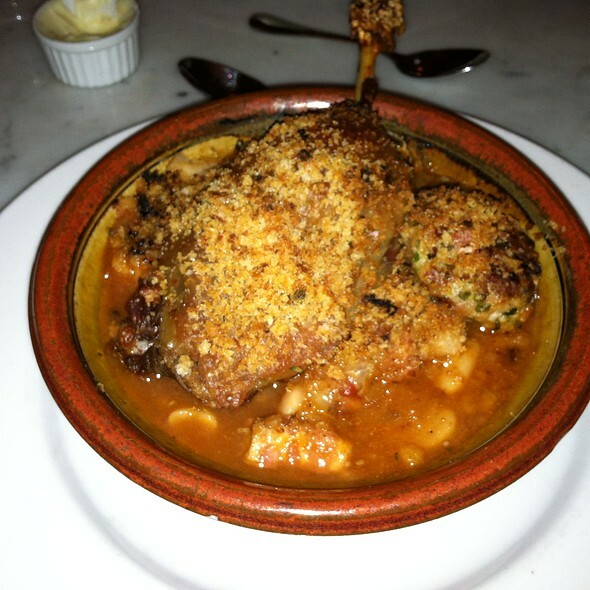 Cassoulet was kind of meh. Not bad, but not excellent, and not as good as 2 other cassoulets around town--very disappointing. I noticed later that the house red wine isn't from France. Maybe I should've asked, but honestly when I go to a French bistro I expect the house wine to be French--certainly not American pinot plonk! I'd rather pay a bit more than the $3 HH special price to get a real wine fitting for the establishment. 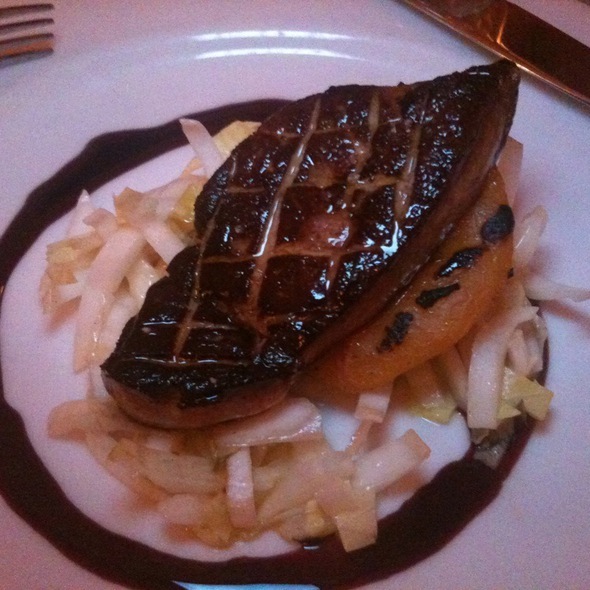 We went to Bistro La Minette for our anniversary after a co-worker recommended the place to us. It was amazing. We did the Chef's Tasting Menu that allowed us to sample some of the menu favorites. The portions were generous and the service was amazing. It looks small from the outside but is very roomy and you can easily move around between tables. I can't wait to go back. and the food has that special touch that does the same. We LOVE La Minette. We go each time we are in Philadelphia without fail. 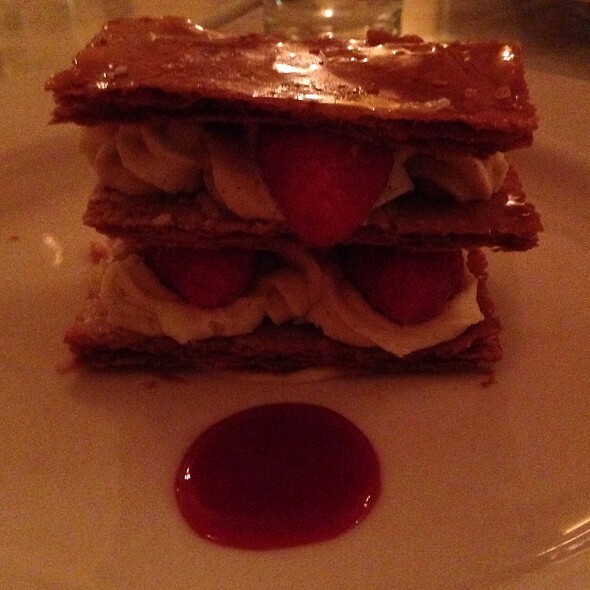 The food is excellent, one can converse easily, the service is perfect (thank you, Cornelia!) and it “feels” genuinely French, a cuisine harder and harder to find these days! Bravo!! Always love this restaurant! Best French bread anywhere! Great happy hour and restaurant. Delicious food-Beef Bourgogne is my favorite dish - everything is really tasty! It’s my favorite French restaurant in Phila. Excellent food, welcoming and knowledgeable staff. The ambiance was cozy and inviting. Love the Kir Royal options too! We will return. One of the best and yummy dinners I have had. Who doesn't love cheese? Whole dinner was cheese centric and well worth the price. Servers were informative and friendly. More events like this please! We really enjoyed our meal and the atmosphere. We had their monthly special which included bread, soup, salad the main dish and dessert for $60 for 2 people. The salad dressing was particularly good and light. We had more food than we could possibly eat. Everything was delicious! Cute authentic simple French. A pretty environment with nice 3 course special options. Downfall..the bar is VERY tiny, the wine list is ONLY French- We get it, its a French restaurant however, there ARE some other very nice wines so maybe one or two in each category to satisfy everyone's likings...just a thought. Richard was a fabulous waiter. Very professional, witty and fun to have him as our server. The food was wonderful- especially the escargot, cassoulet, rabbit and special pear salad. It was my birthday and they brought a special dessert treat. A lovely little place to enjoy a nice French meal. Very good French bistro. They were able to accommodate sitting us earlier which was a good start. The service was great. 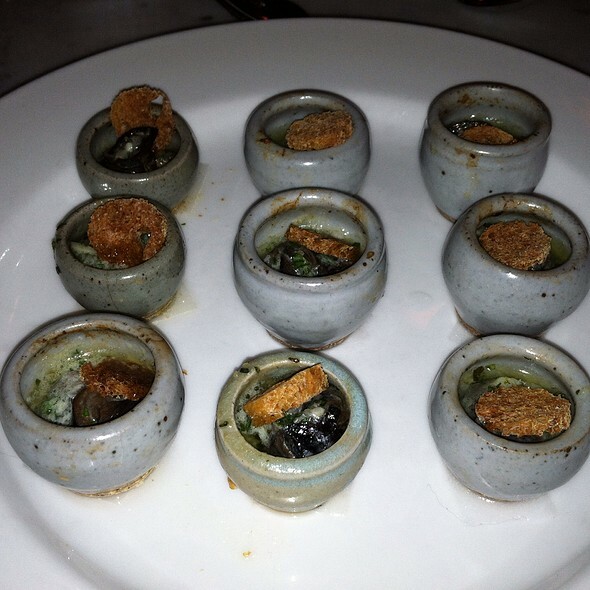 We started with some sparkling wines, escargot, and seared fois gras. Very well may have been highlight of the meal. For main course we had the Lapin and beouf, paired with some reds. While The beouf was fantastic, great balance between veggies and Demi glaze, the rabbit was boring and lacked any depth. No game, which made it taste like chicken. The mousse cake made everything better. Overall this is one of the better French restaurants we have been to in the city. Best French restaurant in Philly! As authentic as you'll get in the U.S. Great food. I had the chicken in cream sauce. It was dry and lukewarm and the mushrooms were overly salty. My husband had the rabbit and really enjoyed it. Wish I had ordered it too. Our sever was great, we were promptly seated and the atmosphere was nice. Based on my food and the price though, I don’t need to go back, unless someone else is picking up the tab. Everything about our experience was excellent. Our new favorite restaurant in Philadelphia.